On the water in a canoe, in the air skydiving or on a mountain bike in the woods - experience Eisenach's surroundings from a special perspective. The multifaceted cultural life in and around Eisenach is always worth a visit. 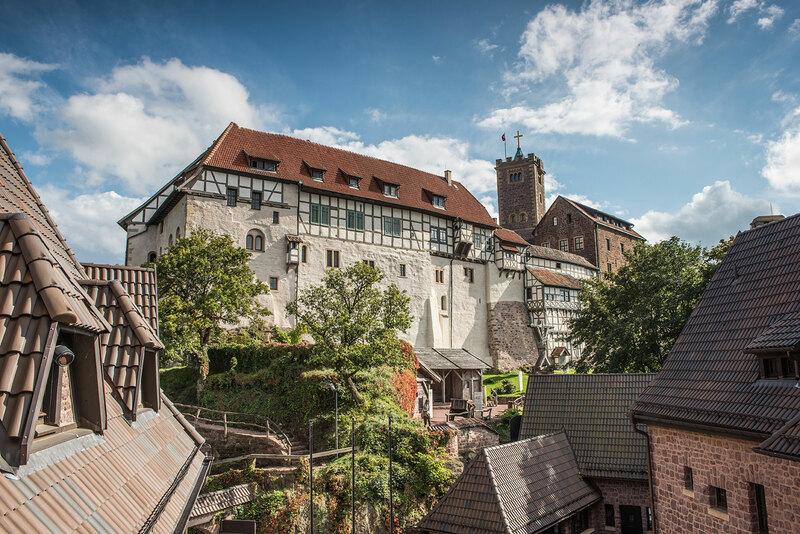 Wartburg, Bachhaus, Lutherhaus and much more - discover castles and museums. Visit a theater or a concert. 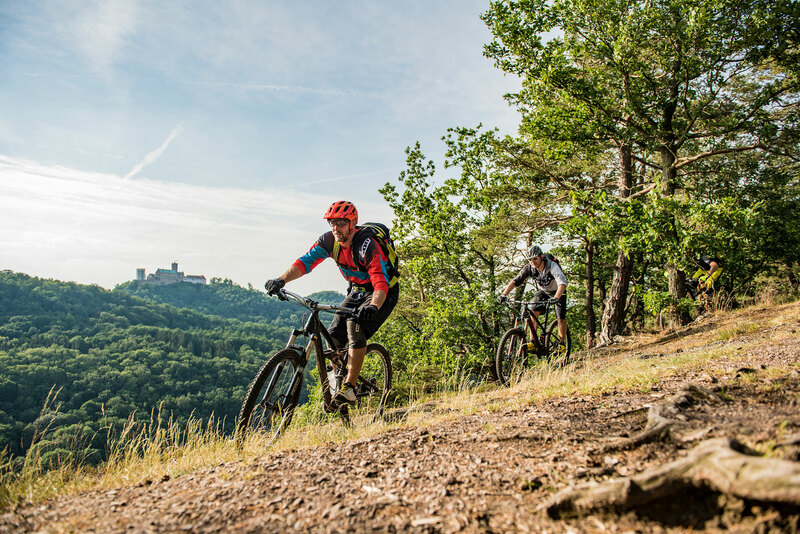 Walking, hiking, jogging or riding your bike - you decide the pace at which you want to experience the wonderful Thuringian Forest. A great network of hiking trails provides opportunities for every kind of tour. Eisenach is a very lively place - on a culinary and on a musical level and also for shopping and celebrating. Numerous stores, restaurants, beer gardens and cafes invite you to go for strolls and spend some time. This is how Martin Luther described his Eisenach. And those who have experienced it can certainly understand the sentiment. Eisenach – a city full of history and yet a modern city. It is the home of many traditional buildings and customs. And of some celebrities. There is no shortage of impressive cultural and natural treasures in and around Eisenach: for example, the Wartburg Castle, the Bachhaus or the Lutherhaus, Europe’s largest contiguous villa district, Sommergewinn – Germany’s largest spring festival, the Car Museum, the Drachenschlucht Gorge, the start of the famous Rennsteig hiking trail and much more. Experience true time travel and take your time for a journey. On land, on water and in the air. Discover, watch, listen and be amazed.